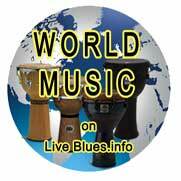 Sat May 24 2014 Roots Americana Blues Swing Jazz World All the good stuff ! 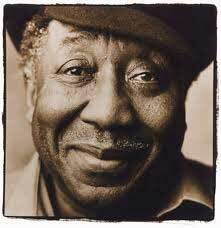 4 April 20ll was the birthday of Muddy Waters, the Father figure of modern blues. Muddy was born in 1913 and would have been 98 today. He was the main reason for Chess records getting established as Marshall Chess described it ‘He was our first real star’ and was the author of numerous of the R&B classics that were the staple diet of British bands during the 60’s R&B boom - ‘Got My Mojo Working’, ‘Mannish Boy’, ‘Hoochie Coochie Man’ and numerous others. Anyone who’s followed the course of modern popular music is aware of the vast influence exerted on its development by the large numbers of blues artists who collectively shaped and defined the approach to amplified music in the late 1940s and early ’50s. Chicago was the pivotal point for the development and dissemination of the modern blues and virtually everything else has flowed, in one way or another, from this rich source. 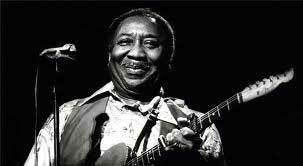 The revolution began inauspiciously enough in 1948 with the release of a 78-rpm single by a singer-guitarist called Muddy Waters. Coupled on Aristocrat 1305 were a pair of traditional Mississippi Delta-styled pieces “I Cant Be Satisfied” and “I Feel Like Going Home,” and on them Waters’ dark, majestic singing. Waters’ use of amplification gave his guitar playing a new, powerful, striking edge and sonority that introduced to traditional music a sound its listeners found very exciting, comfortably familiar yet strangely compelling and, above all, immensely powerful, urgent. From the start it was he who dominated the music, who led the way-in style, sound, repertoire, instrumentation, in every way-first as a greatly popular club performer from the mid-1940s on and, a few years later, as the most influential recording artist in the new amplified blues idiom. In the years 1948-55 he put forth for definition the fundamental approaches and usages of modern blues in a remarkable series of ground-breaking and, as time has shown, classic records. 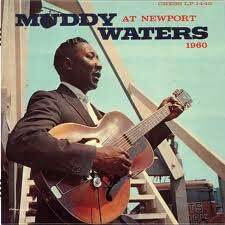 In the years since, the style Waters delineated has been extended, fragmented, elaborated and otherwise commercialized, but the fundamental earthy, vital, powerful sound of the postwar blues as defined by Muddy and his bandsmen has yet to be excelled-or even equaled, come to that. It’s no accident The Rolling Stones chose their name from one of Waters’ finest early recordings the choice was merely prophetic, for Muddy and his magnificent bedrock music continue to resonate as thrillingly and powerfully through the music of today as they did back in the late ’40s and early ’50s when we first heard them. It is scarcely surprising then that the Delta region has nurtured a tradition of blues singing and playing that reflects the harsh, brutal life there, a music shot through with all the agonized tension, bitterness, stark power and raw passion of life lived at or near the brink of despair. Poised between life and death, the Delta bluesman gave vent to his terror, frustration, rage and passionate humanity in a music that was taut with dark, brooding force and spellbinding intensity that was jagged, harsh, raw as an open wound and profoundly, inexorably, moving. The great Delta blues musicians-Charley Patton, Son House, Tommy Johnson and, especially in Waters’ case, the brilliant, tortured Robert Johnson-sang with a naked force, majesty and total conviction that make their music timeless and universal in its power to touch and move us deeply. Growing to manhood there, in the very heart of the region that had spawned this magnificent music, Waters was drawn early to its stark, telling, expressive power. He had been working as a farm laborer for several years when at thirteen he took up the harmonica, the instrument on which many blues performers first master the music’s rudiments. Four years later he made the switch to guitar. “You see, I was digging Son House and Robert Johnson.” The two were the undisputed masters of the region’s characteristic “bottleneck” style of guitar accompaniment. With this technique the Delta bluesman could utilize the guitar as a perfect extension of his voice, the sliding bottleneck matching the dips, slurs, sliding notes and all the tonal ambiguity of the voice as it is used in singing the blues. Within a year, Waters recalled, he had mastered the bottleneck style and the jagged, pulsating rhythms of Delta guitar. He had learned to sing powerfully and expressively in the tightly constricted, pain-filled manner that characterized the best Delta singers. By the time a team of Library of Congress field collectors headed by Alan Lomax visited and recorded Waters for the Library’s folksong archives in 1941 (they were looking for Robert Johnson at the time, unaware of his death three years earlier), returning to record him further the following year, he had had several years’ local performing experience behind him. Providing the musical impetus for dancers at rough-and-tumble back country dances, in juke joints, and at picnics, houseparties and other rural entertainments had sharpened the young bluesman’s vocal and instrumental abilities to a keen edge. The recordings show the strikingly distinctive power of the young Waters, both as singer and master of Delta bottleneck guitar. The following year Muddy put the Delta behind him forever. He moved to Chicago in 1943, and never looked back. But it was not as easy in the Windy City as the young bluesman had imagined. It was the middle of the war and, though times were flush and there was a great deal of money to be earned in the defense industries, the winds of change were blowing uncertainly through the music world. Spearheading the new blues was Waters. He had persevered with his music. After several years of playing to slowly increasing audiences, first at houseparties and later in small taverns dotted throughout Chicago’s huge, sprawling South and West Side black-belt slums, he had begun to record. 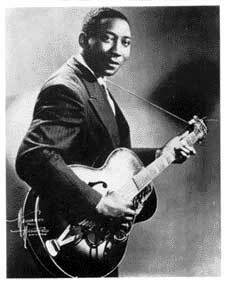 Ironically enough, it was for Columbia Records that he had made his first recordings as a Chicago bluesman. Unfortunately, the recordings were not issued. Working as a truck driver, Waters had managed to persuade the operators of Aristocrat-later Chess-Records, a small, independent Chicago firm, to record him. After several exploratory recordings made in the company of pianist Sunnyland Slim and bassist Ernest “Big” Crawford which made absolutely no impression on the record-buying public, Waters suddenly scored with the single “I Can’t Be Satisfied/I Feel Like Going Home.” And it is with this record that the history of the modern Chicago blues properly begins. Over the next few years, Waters gathered around him a group of like-minded, country-reared musicians with whom he proceeded to make blues history. Over the surging rhythmic momentum his group developed so effortlessly, Waters’ dark-hued voice chanted the Mississippi blues of his boyhood. In his singing could be heard echoes of the great Delta singers he so admired. Robert Johnson’s music, especially, is at the root of so many of Waters’ early commercial recordings. But even if the source of the music is not specifically Johnson, it is ultimately based in the traditional blues of his native Mississippi Delta, always the linchpin of Waters’ approach to music, as attested by “Rollin’ Stone” and “Still A Fool” (both remarkable reworkings of the Delta standard “Catfish Blues”), “Standing Around Crying,” “Rollin’ And Tumblin’,” “Honey Bee,” among many others. Following his earliest recordings, made primarily of traditional Mississippi blues staples and his adaptations of them, Muddy slowly broadened the traditional base of his music to incorporate new instrumental sounds and textures. Memorable among these early efforts were the remarkable trio recordings with Little Walter on harmonica and Crawford on bass in support of his incisive amplified bottleneck guitar: “Louisiana Blues,” and “Long Distance Call,” dating from 1950 or early ’51 are justly praised masterpieces of the postwar blues. Waters’ regular second guitarist during this period was the empathetic, almost telepathic Jimmy Rogers whose deft, rhythmically unerring playing was unparalleled in the modern blues. A member of Waters’ working band from the late 1940s, he was not to make his appearance on a Waters record until the end of 1951, the same time pianist Otis Spann was added to the group’s lineup for live performances. With him on board, the modern blues band format and sound was fully settled, documented on such Waters band performances as “I Just Want To Make Love To You,” “Hoochie Coochie Man” and “I’m Ready” (1954), “Just To Be With You” (1956) and a host of others. With the ensemble finally settled, the final element was added in the form of Willie Dixon the veteran bassist whose abilities as a songwriter of proven talent, versatility and audience-pleasing cleverness enabled Waters to achieve even wider success through the many songs he wrote specifically for, and in some cases helped produce for the singer-guitarist and his crack ensemble. From the middle 1950s Waters’ songwriting became almost wholly urban in character, as for example “She’s Nineteen Years Old,” “Walkin’ Thru The Park,” “You Can’t Lose What You Ain’t Never Had” and the anthemic “Got My Mojo Working,” among others. All through the 1950s Waters solidified and extended his initial success with a series of recordings, many of them absolutely brilliant and none less than satisfying, that firmly established his approach as the dominant postwar blues style. Countless groups emulated its brusque, rude force and thrilling sonorities though few were able to match the peerless ensemble integration it attained so consistently and effortlessly. Members of Waters’ various bands-guitarists Jimmy Rogers, Sammy Lawhorn and Luther Johnson, harmonica players Little Walter, Junior Wells and James Cotton, pianists Otis Spann and Pinetop Perkins-left to strike out with bands of their own, spreading the Waters gospel further. Later generations of bluesmen took Waters’ approach as their birthright: Buddy Guy, Magic Sam, Otis Rush and scores of others-have all been in Waters’ debt. Four decades and more later, the blues of postwar Chicago remain the standard bearers, the yardstick by which all others have been and continue to be measured. Waters, his cohorts and immediate followers had limned definitively the contours of the style, and it was they who extended and reworked the idiom, bringing it to its highest levels. The stage was set for the music’s next development, rock-and-roll and its offshoots and permutations. As the 1950s gave way to the ’60s, blues of the direct, yeasty sort Waters and his bandsmen performed so tellingly became ever less relevant to black listeners who increasingly involved themselves with soul music and its offshoots, the more urbane blues styles of B.B. King and his disciples, and various forms of modern black dance music. http://www.youtube.com/watch?v=foZfNfyLgaI Muddy Waters and Eric Clapton. Through all this his mentors at Chess Records sought to keep pace with the changing tides in popular music, in response to which they placed Waters in a number of recording contexts they felt would broaden his acceptance even further. The most sensitive and, happily, one of the best received of these productions was the 2-LP set “Fathers And Sons,” which paid homage to Waters and his achievements through the sponsorship and participation of several young musicians who had learned directly from him, repaying the favor by using their celebrity to focus attention on him-the brilliant young harmonica player Paul Butterfield and guitarist Michael Bloomfield. In 1977, his long association with Chess at an end, he signed with Blue Sky Records, a label operated by another of his young proteges, the guitarist and singer Johnny Winter, and over the next several years produced four spirited albums under Winter’s sympathetic guidance. Waters performed almost uninterruptedly, invariably giving of his best and often, when circumstances conspired to allow it, setting the night on fire with the strength, passion and conviction that only he could muster. He carried his message to countless listeners, first in Chicago, then all the rest of the U.S. and finally, the world. When he died quietly in his sleep on April 30, 1983, in his home in suburban Westmont Illinois, America lost one of the greatest, most influential and enduringly important musicians of the century, one who had reshaped the course of the blues, set it on a new path and, through the influence he exerted on so many other who followed in his trailblazing wake, completely altered the sound, substance and very character of all modern popular music.